Sam is the half-brother to Boo, and is also owned by my grandparents. He is a real character, and absolutely loves agility. Sam competes at the highest level, Grade 7, and is run by both my brother and I. Sam has won the YKC Small Agility at crafts in 2014, both the Senior YKC Agility and Jumping at Crufts 2015, and in 2016 won the British Open Final at Crufts. He has also represented England at the World Agility Open Championships in 2015, 2016 and is part of the 2018 Team. He has also represented Team GB at the European Open Championships in 2016 & 2017. In December 2015 Sam & I won the Small Agility Stakes Final at Olympia, which is one of the most prestigious finals in the UK. In 2017 we won two Gold Medals at the IFCS World Agility Championships in Spain, as well as winning Team Bronze. Sam has also won numerous Junior Finals with Lucas. Boo belongs to my grandparents. She was the first dog that I competed with in Agility, and is currently competing in Grade 7. Boo managed to win her first final with me in 2011, this was at Dogs in Need. In 2013 Boo and my younger brother won the YKC Agility dog of the year Semi-Final at Crufts. In 2013 Boo represented the Junior GB team in Holland with my younger Brother Lucas. Lucas and Boo came home with a Individual Bronze Medal. 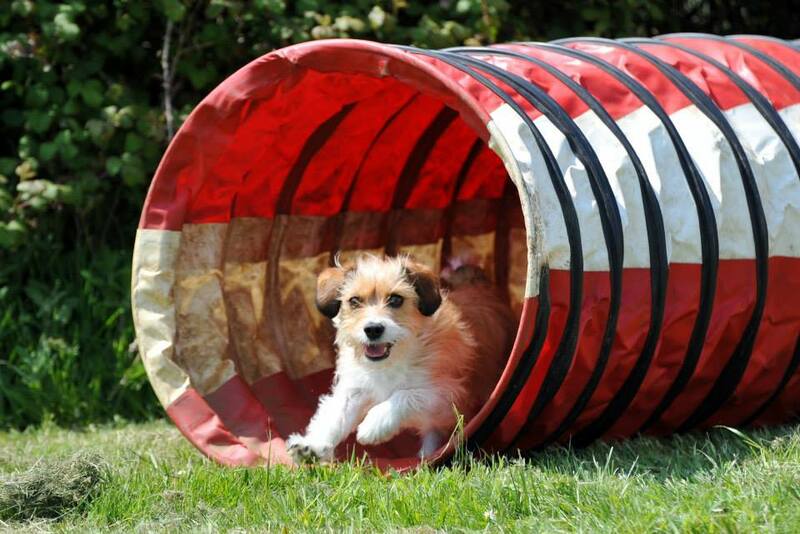 In 2014 Boo was part of the Winning YKC Agility team, and also finished 4th in the YKC Agility. Boo has also qualified for the UKA Finals in Dec 14. In May 2015 Boo won the UK Agility Masters heat, which qualifies her for the Masters grand final to be held in December. Boo has won a Reserve Championship Ticket. In 2017 Boo came 7th overall at the IFCS World Agility Championships, ran by Leah Gardner, and represented Team GB at the Junior European Open Championships. Kaos belongs to my Brother Lucas. She was a rescue dog from Many tears. Kaos is the sweetest dog, however is scared of both people and dogs. 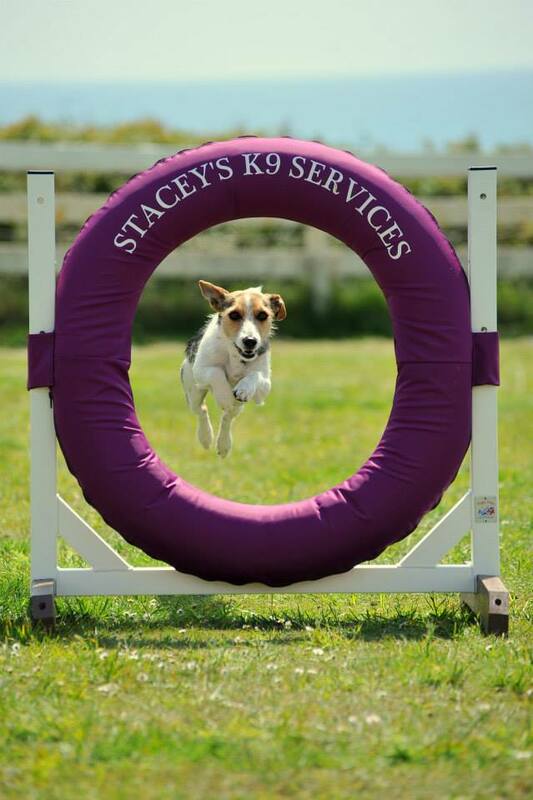 She still however manages to compete extremely well in Agility, and is currently competing in Grade 5. Kaos qualified for the Large Novice Olympia Semi Finals held at the International Festival, however i was unable to run her in them due to a knee injury. In 2017 Kaos also qualified for 2 Finals with Lucas, and did extremely well coming 2nd in both of them! Both her and Lucas have a very bright future ahead of them, and I’m looking forward to seeing what they can achieve together. Kraze is a crossbreed which we rescued from Many Tears. She is an incredibly loving but sensitive dog, who is just starting her Agility career. She will be running for Lucas during the 2018 season whilst i have time out to get my knee fixed. I will post updates as to how she gets on. Rapid is my newest addition. A Parson Russell Terrier. He is a real character who loves to work! He is currently in his foundation stage of training, and will be out competing at the end of 2018. This little guy is a pleasure to train, and is showing lots of potential! I am extremely excited to see where his Agility journey takes the two of us! Pixie was the first dog that I owned; she came to me at 9 weeks old after seeing her in the Friday-Ad. Pixie hasn’t been the easiest dog but training her has been a pleasure and she has taught me so much. In her first full year of competing she reached Grade 7. Pixie has to have 18 months off Agility due to having elbow surgery. At her first KC show back Pixie won the Championship Ticket, which qualified her for the championship class at Crufts 2016. Pixie won many finals in her career, including the Agility Club Starters final, along with the Open Junior Agility Championships with my brother Lucas. She was also part of the Team GB Agility Squad. Pixie is now enjoying retirement. Rex is now retired but was ran by my younger brother, and competed in Grade 4. He was our first agility dog, and is the reason that we became hooked to the sport. Rex has competed in several finals with both my Mum, and Brother including the Agility Club Starters Final, Agility Club Junior Final and the UKA Junior Final. Lacee is one of the most loving dogs, and is a pleasure to live with. She belongs to my mum, and currently competes in Grade 4. Mollie is the sister to Sam, and competes in Grade 6. She is a cheeky little dog, just like her owner – my younger brother. Lucas and Mollie took part in the TV program CBBC’s ‘Who Let The Dog’s Out’. Mollie and Lucas managed to reach the knock out stages. Mollie and Lucas represented the Junior GB team in Holland 2013, and won themselves an Individual Silver medal! Mollie and Lucas won the Open Junior Agility Championships Small Under 12’s in 2014. This is the second year running that Lucas has won. Lucas and Mollie competed at Crufts 2014, they Won the Agility Dog of The Year Semi-Finals. Lucas and Mollie were also part of the winning YKC Agility Team. Lyric was my first border collie. She was a very tricky dog in terms of Agility but she was a real sweet dog in the house (albeit it rather cheeky!) Lyric only competed for a short period of time, as she then had some health problems. After around 8 months of trying to help her we had to make the heartbreaking decision to have Lyric PTS due to Liver Failure.